Imagine driving around Lumberton, NC in a stylish subcompact vehicle that can save you money on fuel. If you’ve been looking for a smaller vehicle to use on a regular basis, then head over to Lumberton Honda in Lumberton, NC and explore the 2016 Honda Fit. Lumberton Honda has proudly served Fayetteville and Wilmington, NC with an amazing selection of new Hondas for drivers to explore. Visit our dealership at 301 Wintergreen Dr. and discover the new Fit today. 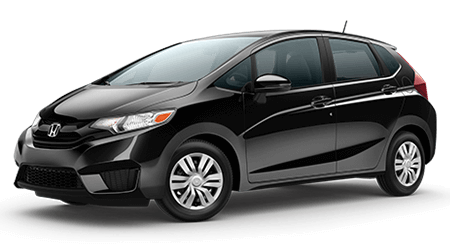 The 2016 Honda Fit obtains minimal updates that makes the subcompact vehicle even better than before. To stand out of the crowd, the Fit receives a refreshed front bumper, grille and roof spoiler. The subcompact vehicle also benefits from 16-inch alloy wheels and LED headlights. The updates also carried over to the inside of the vehicle where the new Fit gets high-quality materials and new seats. As a subcompact vehicle, the new Fit is equipped with a fuel-efficient engine that is capable of saving you hundreds of dollars on fuel. Underneath the Fit’s hood lies a 1.5L inline-four that produces 130 hp and 114 lb-ft of torque. The punchy engine can be paired to a six-speed manual transmission or a CVT, which allows the vehicle to return 33/41 mpg (city/hwy). With the Fit’s efficient engine, you can use the subcompact on a regular basis and not worry about filling up. When it comes to getting a fuel-efficient city vehicle that can save you money on fuel and is fun to drive, the 2016 Honda Fit is one of the best vehicles on the market today. For a great deal on a new Honda, visit Lumberton Honda in Lumberton, NC. As one of North Carolina’s top-ranked Honda dealerships, you’ll receive an enjoyable car-buying experience. Stop by our dealership at 301 Wintergreen Dr. and test drive the new Fit today.